Current mirror date: 2018.12.03 This page is a mirror of the Feature Tracking page on the NFV private wiki. Information on the private wiki page is frequently updated, whilst the present page is regularly mirrored. Feature Prime Stefan Arntzen, Huawei . 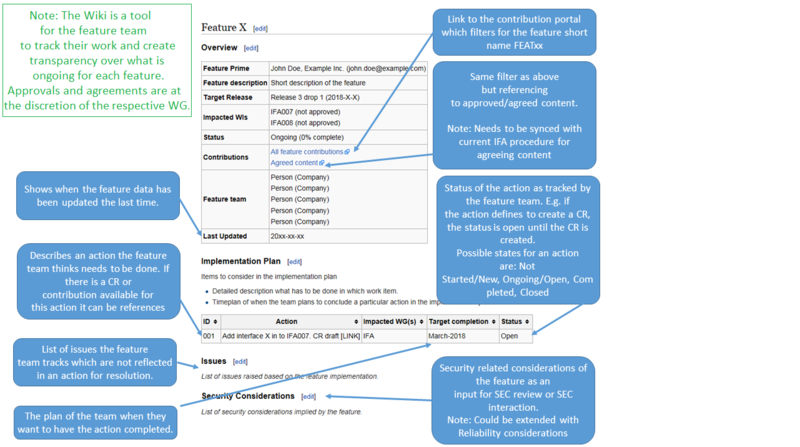 010 Specify the VNF constraints parameters for NFVI software modifications in the VNFD . After analysis and LS exchange with 3GPP no dependencies for the time frame of this feature are seen anymore. It is expected that Slice management functions can build the slices by using (instaniating) NS instances. NFV MANO is not aware of the network slices. Thus slice consumers / tenants are not known by MANO. Only the NS tenant is seen. Note: According to EVE012 further analysis is necessary on whether there is any impact on the IFA010 is required. 003 Investigate whether any new parameters in VNFD may be needed.